Last fall, at the New Museum’s “Performance Archiving Performance” (PAP) Artists Talk, Jennifer Monson, director, choreographer, and performer, declared that documentation wasn’t the same as archiving. For me, this set up two ways of thinking about the performance archive: On the one hand, we have the document, a closed record of a specific event that has taken place in the past. On the other, we have (or want to have) a more open-ended conception of the archive, the kind explored in the PAP framework—practices that, for example, use re-performance to generate new work, or archive the user-generated content of a performance on a website. These latter ideas align with current cultural conversations about open access and digitization, broadening the definition of the archive beyond a physical repository of cultural artifacts. If the document allows us to look back and catch a glimpse of the past, however tenuous, the archive in this model looks forward. As discussed in the PAP panel of contemporary choreographers, we can’t anticipate how the archive will be used—by students and researchers, but by artists, too—in everyday practice or in the making of new work. This notion of a forward-looking archive makes urgent the need for creative archival methodologies that will allow for flexible, even unanticipated, future uses. 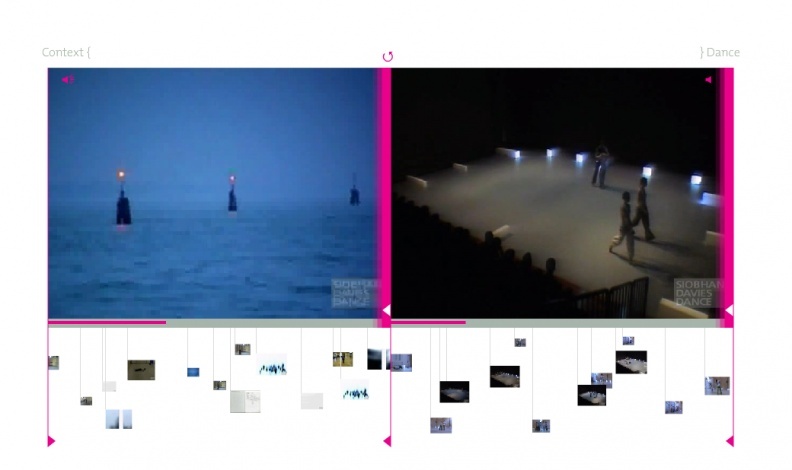 The foremost project in my mind to exemplify the productive use of creative archival methodologies is William Forsythe’s “Synchronous Objects.” Online since 2009, this project has demonstrated the potential of the crossover between digital media, visualization technologies, and dance archiving and research. “Synchronous Objects” was a pilot experiment leading up to Forsythe’s in-progress “Motion Bank,” which expands similar research and archival methodologies to works by choreographers Deborah Hay, Jonathan Burrows & Matteo Fargion, and Bebe Miller/Thomas Hauert. The online interface, displaying a surfeit of information and graphics, and functioning via a horizontal scrolling, could seem a little disorienting at first, and yet it would be easy to unintentionally spend hours browsing the sites. 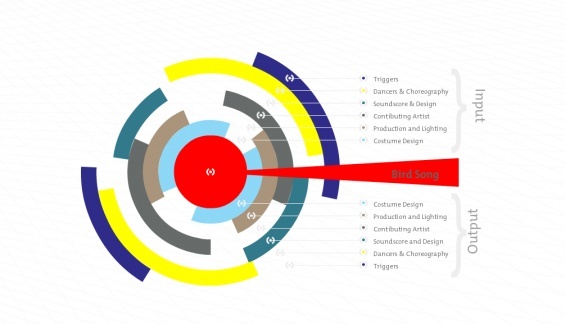 Aside from graphic visualization of patterns and movements, choreographic notation forms the backbone of any dance preservation effort. Recently, there has been a plethora of projects, some ongoing, some completed, that deal with the notational aspects of archiving movement work. In the US, the Dance Notation Bureau’s Online Digital Archive includes a YouTube channel with videos of dance excerpts and corresponding excerpts of Labanotation, the standardized notation system first invented by Rudolf Laban in the 1920s. More exploratory or research-based platforms include the Netherlands-based Inside Movement Knowledge and TKB Knowledge-Base from Portugal, which experimented with, among other things, motion-capturing and collaborative annotation capacities. Another promising and burgeoning approach within performance-archiving initiatives is the dance history archive that simultaneously functions as a community center of sorts: the Dance History Project of Southern California and the upcoming Philadelphia Local Dance Project are examples. Although there is a stronger editorial oversight on these sites than, say, on Wiki-type resources, the main strength of these locally based projects is that they allow user contributions and interactions through forums and blogs, where users can share memories and post documents and ephemera from their personal archives. Beyond approaches that consider the archive as a site coming after production, we are also seeing the emergence of archives that contribute to the generation of the work itself, helping us to see ways in which the boundaries between the process and the product could be blurred. A couple of years ago, ensemble theater dance company Lucky Plush Productions caught my attention with stealthisdance, a companion website to a live piece that explored—through the rehearsal process, live performance, and the interactive platform—issues of copyright, ownership, and distribution of dance, grounded by the discussions coming out of “remix culture.” On the site, you could “steal, buy, share” a move, you could even donate one, or pay the company to include your move in their piece. More recently, and circling back to the PAP panel, a canary torsi’s “The People to Come” project website lets visitors contribute choreographic materials and ideas, which the dancers then interpreted and performed in live shows. Today we can still browse through the contributions and watch the performances. This round-up would not be complete without more “properly” archival resources: Great places to see dance online at the moment—and dangerous sites for procrastinating! Although many of the dance videos on the New York Public Library Digital Collections website remain locked due to copyright restrictions, it is a great starting point for further study. For those in New York, this collection—one of the world’s premier dance collections—can be viewed in full onsite. The still images that are available online alone, like those of Isadora Duncan and Ruth St. Denis, are historical gems. UBUweb’s Dance page, in collaboration with Contemporary Dance Video Database, contains excerpts of important works, leaning towards the European dance theater traditions. The video section of Artforum, although principally covering art and experimental films, also contains some great dance videos; the selection is particularly strong on the art/dance crossover, including work by choreographers such as Sarah Michelson, Trisha Brown, and Merce Cunningham, who have regularly presented in museum contexts. 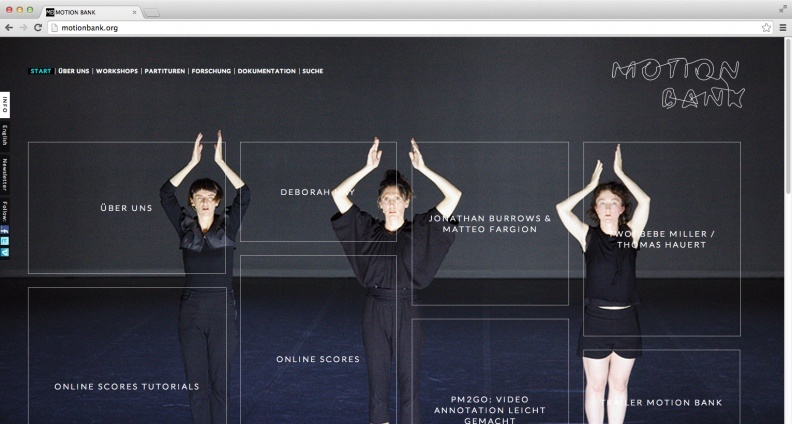 Other great resources, providing substantial selections of works that are easily accessed, include Jacob’s Pillow Dance Festival’s Interactive archive, dance-tech.tv, and ontheboards.tv (the latter covers contemporary performance more broadly, requires a small fee for viewing, but promises HD quality, multiple angles, and edited footage made in collaboration with the choreographers). In contrast, numeridanse, backed by French public institutions and Digital Dance Atlas, a collaborative effort between seven German dance archives, offer models for public institutions (no HD here). The latter includes not only videos, however, but also scans of documents and ephemera in the archives. The best is yet to come, I hope. For me, the most promising aspect of digital platforms is that they could help us move away from what PAP curator Travis Chamberlain aptly called “object performance,” that is, the idea of “the show” as the final, completed product that takes precedence over other aspects and incarnations of the work existing in different media. Our tendency to fetishize liveness aside, the focus in popular cultural conversations on live performances as discrete objects has partly to do, I think, with the current dance funding structure, which tends to prioritize the creation of new, finished work (preferably ready to tour). Currently, those dances that fit the object performance category are the ones that have become the locus of most digital archival efforts. As a dance lover, I couldn’t be happier, but I do feel we should also recognize that what gets left out are practices that aren’t oriented by the proscenium presentation, like hip-hop dance or contact improvisation, for example. It doesn’t have to be that way. Instead, we could also begin to see dance, in relation to the archive, as the durationally complex practice that it is. Instead of focusing on finished and therefore closed choreographic objects, we could begin to think about a digital dance platform that, like an active website, becomes an open-ended site for collaboration and engagement based on dance as an embodied and temporally unbound practice. Paisid Aramphongphan writes on modern and contemporary art and is especially interested in the intersections of art and dance histories. He is a PhD candidate in History of Art and Architecture at Harvard University.